Attract Love into Your Life. Audio to increase self-love and love from others. Positive Affirmations, Meditation Music and Audio to Love Yourself and Attract More Love from others. How to attract more love into your life? Authentic self-love is not about vanity and arrogance. Self-love is about truly respecting, accepting and loving yourself, appreciating all your values and who you are. This is utterly important to experience real happiness and fulfillment in life. As Louise Hay teaches, "you can't really love your neighbor until you do learn to love yourself... when we truly love ourselves, everything in our lives works". Now, pursuant to the law of resonance and attraction, the way you think and feel about yourself greatly influences your self esteem, the amount of love you feel for yourself and the love you allow yourself to receive from others. You literally attract, ignore or deny yourself love with your thoughts and feelings. You cannot attract love if you do not love yourself enough or if deep down you think you do not deserve love from others. Your feelings are influenced by your thoughts. And your thoughts are greatly influenced by your beliefs. Your beliefs are stored in your subconscious. These beliefs can be either positive or negative. Negative or limiting beliefs lead to self-sabotage. Therefore you need to reprogram any limiting beliefs and transform them into empowering, positive beliefs that are consonant with self love. Positive thinking is necessary to experience self love, to be a loving person and to allow yourself to be loved by others. You cultivate positive thinking through positive affirmations. The constant repetition of positive affirmations to yourself neuro-linguistically changes your mind’s perception and vibration. If you arrive to the point where you feel these positive affirmations, they plant a positive seed in your subconscious mind. And this opens the door to real positive experiences regarding the love you feel for yourself and others and the love you receive from people around you. Arriving to this vivid feeling requires persistence and focus. It is not enough to say a few positive affirmations here and there if most of the time during your day you are actually thinking or feeling the opposite most of the time. So how do you manage to increase the amount of positive thinking vis-à-vis the amount of negative thinking in your days? Is there a practical way to do it even if you are a busy person? The answer is yes. You can increase the amount of positive thinking in a practical way by frequently listening to an audio recording that has all the positive affirmations that you need to transform your thoughts, feelings and reality. With this in mind, I am happy to offer you an audio program to cultivate, nurture and increase your self love and to open yourself to receiving more love from people. In addition, this audio program features background music I have composed for a relaxed, meditative State. This is important because your subconscious mind is more receptive when it works in a relaxed state. A relaxed state of mind facilitates the absorption of the positive affirmations or suggestions by your subconscious mind. The meditation music of mine that you will hear along with the positive affirmations has been tuned to 432 hz, which ensures a pleasant state of natural relaxation while you listen to the positive affirmations for self love. This 432 hz musical tuning is known in Pythagorean mysticism as having mathematical properties uniquely aligned to the golden ratio and the Earth’s orbit around the sun. You will feel relaxed and alert in a natural way. There are no binaural, monoaural nor isochronic beats in this recording. You can listen to this recording as many times as you want during your day. (Note: This is the normal audio version, where you will listen to the positive affirmations out-loud. If you want the subliminal version, scroll down this page to get the subliminal version). You check out with a secure payment server using your PayPal balance or your credit or debit card. You immediately get the download link. You also receive in your inbox an instant email with the link to download this audio program. You can listen to this audio program on your PC, Mac, iPod, MP3 Player, iPad, iPhone or smart phone. Or burn a CD for your home or car stereo. Enjoy the program. I wish you great success and joy in manifesting and experiencing more love in your life. 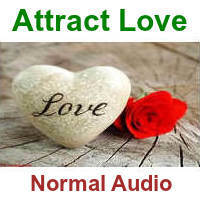 For those of you who prefer to hear the positive affirmations for love attraction in a silent mode, I am also offering here a subliminal version of the audio program for love. This recording contains the same positive affirmations for self-love and love from others, together with meditation music in 432 Hz as described above, but the positive affirmations are recorded only behind the music. You will consciously hear and focus on the music while the subliminal positive affirmations are still received and processed by your subconscious mind. This option is good for those of you who feel that your rational mind may doubt, resist, question, reject or sabotage the positive affirmations because deep down your current subconscious system does not believe them or has opposite beliefs stored in it. For instance, when people deep down do not feel as deserving love, it may be difficult for these persons to believe in a positive affirmation like "I receive love" without questioning it, basically because their subconscious mind beliefs the opposite. The key is therefore to bypass the "shield" of the rational mind speaking for the subconscious and to make a positive impression directly upon the subconscious. This is where subliminal messages come to help. Subliminal messages, used correctly, are designed to allow the positive affirmations and suggestions to be received and acted upon by the subconscious mind, bypassing the conscious resistance that often “filters” the positive affirmations through disbelief or negative inner talk. 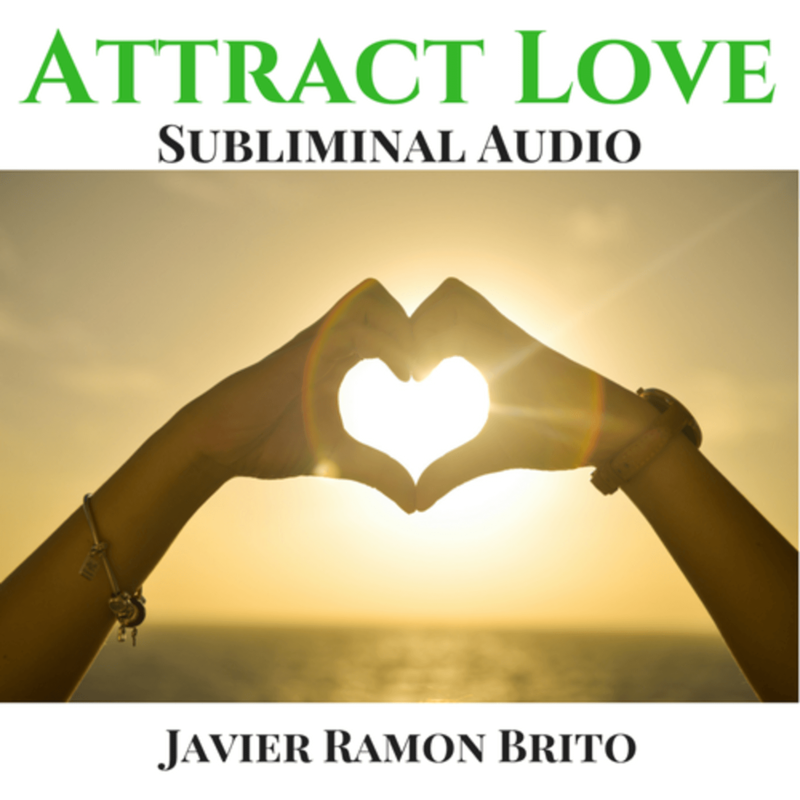 The Subliminal version of the Love Audio Program allows you to consciously focus only on the meditation music while the positive affirmations for self love and love from others are received by the subconscious. Since you will hear the music without the affirmations spoken out loud, you might be tempted to ask "but how can I be sure that the positive affirmations are there and that it is not only music I am listening to?" -Easy. Because if you hear attentively, behind the music you will be able to hear a low "murmur" or "whistle" that proves beyond doubt that the affirmations are there. So relax, enjoy and let your subconscious mind work while you focus on the music. You can listen to this audio program on your PC, Mac, IPod, MP3 Player, or iPhone. Or burn a CD for your home stereo. The program has been designed to be listen to with headphones.